KUALA LUMPUR (June 16): Lotte Chemical Titan Holding Bhd will be returning to the Main Market of Bursa Malaysia on July 11, 2017, with an initial public offering (IPO) price set at RM8 per share. Lotte Chemical's IPO is slated to be the largest in Malaysia since August 2012, and the largest in Southeast Asia since May 2013. The chemical firm's IPO price is pegged to a historical price-earnings ratio of 14.25 times, which is slightly higher than its comparable peers that average between 4.73 times and 13.7 times. According to Lotte Chemical, it intends to raise gross proceeds of some RM5.9 billion, of which RM5.77 billion will be used to expand its integrated petrochemical facilities in Indonesia. "Through the IPO and the upcoming listing, Lotte Chemical will introduce to both the local equity market a fast growing company, a strong culture and stronger management team," Lotte Chemical's chairman Tan Sri Abdul Rahman Mamat told reporters in his speech prior to launching the prospectus here today. As for Lotte Chemical's plan to channel the bulk of the cash to outside Malaysia, its president and chief executive officer Lee Dong Woo said, "The matter was discussed with Bank Negara Malaysia and the Securities Commission Malaysia, and if they do not approve then this IPO would not have happened." Established in 1991, Lotte Chemical is Malaysia's first standalone producer of olefins and polyolefins. 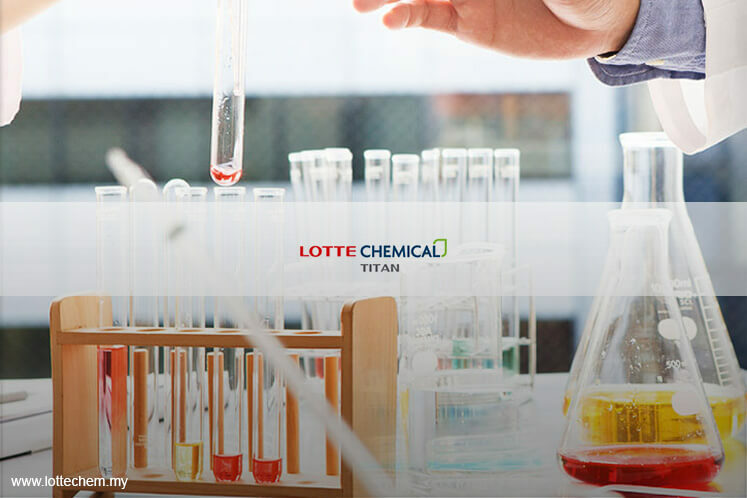 In terms of production capacity, Lotte Chemical is also the fourth largest polyolefins producer in Southeast Asia.